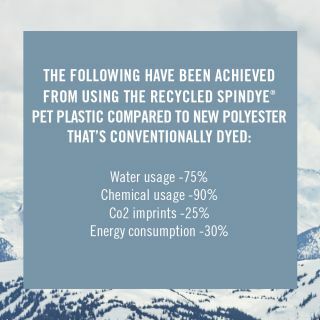 offering sustainable dyeing processes for synthetic materials in the clothing industry. tear much better than in conventionally-dyed garments. collaboration with We aRe SpinDye®,” says Martin Berling, co-founder of We aRe SpinDye®. plant-based material with insulating properties comparable to down. Kristin Roos, the Production Manager at Odd Molly.